In August 2018, Martin Roll was interviewed about strategy and marketing in the digital age and featured on Google’s knowledge portal, Think with Google. Think with Google is a platform offering data, insights, trends, analysis and other resources across a wide variety of industries to marketers, in order to enable and empower them in their daily work. Prior to this interview, Martin Roll had co-authored and presented a consumer trends report for Google titled “A Peek Into Your Consumer’s Future”, together with Nicole Fall, the CEO and founder of Asian Consumer Intelligence, a trend forecasting, strategic planning and innovation consultancy. Every business is looking to make an impact, be it in terms of financial standing, market share, loyalty, or positioning. To navigate through the noise, consumers base decisions on the brand and what it represents. 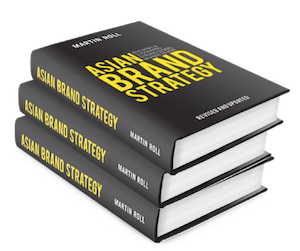 During the interview, Martin Roll offered three lessons in brand marketing that companies can learn and implement in order to successfully build a brand in Asia-Pacific. Consumers today want offerings that are customised. At the same time, brands need to be clear of what they offer and do not offer. Misinformation online has been a hot topic and as a result, people are looking for trustworthy sources and the truth about where the brand is from and the people behind the brand. South Korean skincare and cosmetics company, Amorepacific, is an example of an Asian company that has built a strong portfolio of authentic consumer brands by leveraging global interest in Korean popular culture, referred to as the Korean Wave. Brands will need to be driven by values and beliefs that reflect the local society. If you are an F&B brand in Asia, for instance, spice should be added to your flavours. Or if you’re a hotel or airline, reflect the Asian hospitality. It means standing for who you are, and not simply replicating what other market players have done. This also means you need to localise your engagement with customers. To bring a brand into the marketplace, deep cultural and societal understanding is essential. Markets mature at different levels so it is important to cater messaging to best address the local audience. Singapore, for instance, is widely recognised for upholding the highest levels of security and standards. Similarly, Singapore Airlines is portrayed as a brand that’s about service quality and safety. It’s about associating what the brand stands for with its country of origin. There are no shortcuts to building strong brand equity. 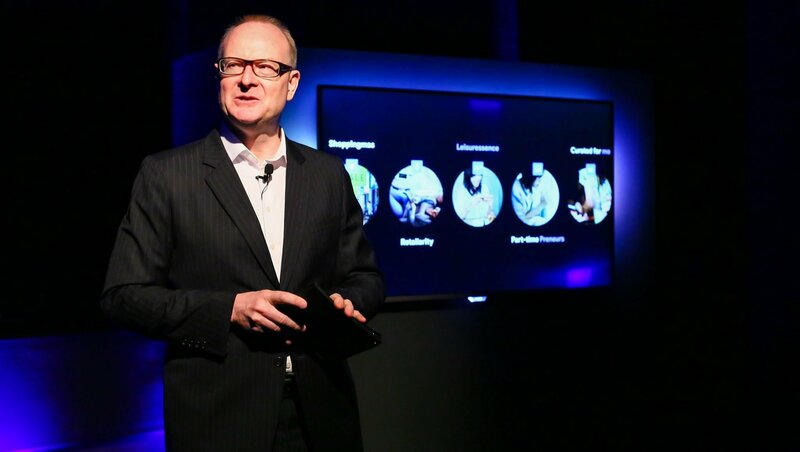 Businesses need to be agile and manage disruptions effectively. It is easy to fall into complacency, so it’s absolutely crucial that brands remain at the verge and slightly outside their comfort zone. They need to be customer-centric, focusing on speed in their service delivery and picking up on new market trends. Brands need to ensure they remain agile, track consumer demands and feed them back quickly along the supply chain, so tweaks can be made to tap these emerging trends. This is exactly what Thai beauty brand, Cute Press, did when it launched a lipstick campaign to refresh its image and connect with a new generation of local women aged between 15 and 20 years. While the retail brand, which has a 40 year history, came from a traditional business environment, it quickly realised digital channels, specifically online video, provided a more effective way to engage with their target audience. Despite its traditional business background, Cute Press demonstrates great agility in being able to evolve its approach to better connect with a younger audience and a willingness to experiment with digital platforms to achieve better results. Having an omni-channel strategy is essential–one that caters to all channels, all frequencies, and at the same time. You can’t have a one-voice-fits-all. Instead, a multiple approach is necessary to cater to various consumer needs. Look at all the touch points in your customer’s journey and identify where consumers and stakeholders interact with your company. At pizza chain Domino’s, consumers can now order their pizzas through 15 different channels. It’s a given these days that brands need to be platform-agnostic and maintain a cohesive customer experience across multiple platforms. People expect to be able to get in touch with a company on the phone, online chat, or email. If they want to buy a pair of shoes from Zara, they want to be able to get them either in-store or online on Tmall from Alibaba. Businesses can look at areas where they can deploy artificial intelligence (AI) to deliver a more seamless and unified omni-channel customer experience. In this aspect, Sands China turned to machine learning to better understand and predict the needs of its customers — important traits for an organization that is widely recognized in the Macao hospitality industry. It also needed to do so by unifying customer data that was disconnected across multiple channels. It built a prediction model that analyzed more than 200 real-time variables and tapped Google Marketing Platform to deliver personalized ads across search, display, and video, based on customer data signals. To build brands that are authentic, agile, and omni-channel, CMOs (Chief Marketing Officers) need to bring marketing into the boardroom and get familiar with technology. CMOs need to embrace the future and move into the digital realm where consumers in Asia are heading. Even India, where TV and print remain the dominant media platforms, has an internet population of 430 million USD, dwarfing the entire population in the United States. A Nielsen/BCG report estimates consumer digital spending in India will reach 100 billion USD by 2020. It’s no wonder forward-looking brands like Flipkart and Mahindra Racing are already using VR and AR technology to better connect with consumers. Why do so many Western brands come into Asia, but fail to make an impact? More often than not, it’s because they’re not authentic or agile. A typical mistake they make is not being observant enough about local cultures and nuances, and they need to have a long-term view of Asia. McDonald’s is an example of one that has succeeded because it empowers its local franchises to create new items that cater to local consumers, which have included the nasi lemak burger and curry sauce in Singapore and Malaysia, and chicken maharaja mac in India. It can be challenging to build a brand in the digital era, but Asian companies can successfully do so if they are willing to be daring, bold, and different.